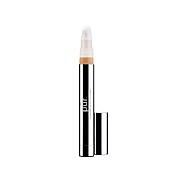 Concealer pen with a buildable formula that's a perfect companion to sheer to medium foundations. 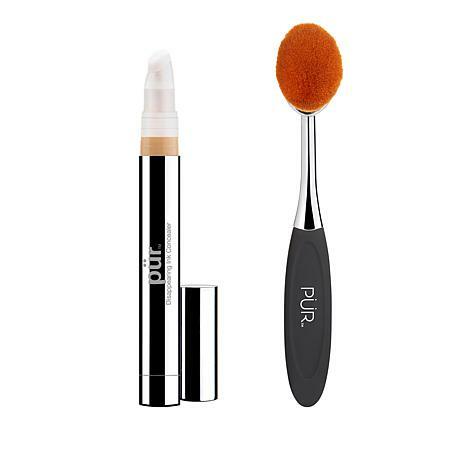 Use the accompanying brush to apply it flawlessly and conceal the appearance of dark circles and blur the look of blemishes. This concealer is one of the best Ive ever usedit goes on creamy smooth and covers perfectly. I especially like the brush, it gives the perfect application. This Concealer is EVERYTHING! It COVERS Dark Circles & Imperfections BEAUTIFULLY! The LUXURIOUS Brush BLENDS product SEAMLESSLY - even when NOT wearing Makeup! It REALLY looks like my skin, only BETTER! I LOVE that it doesn't crease or settle into the fine lines under my eyes! Also, it doesn't do the standard Concealer "Spotlight Trick" that telegraphs "I'm hiding something right HERE!".. It is APTLY NAMED & PERFORMS Beautifully! I've already purchased a spare to tuck away. WELL DONE, PUR!! Never have I had anything like this. This is an excellent product. I have several sun spots on my face which are very hard to cover. This does a very good job of covering. In my opinion, it the brush. It is gorgeous and soft. It applies the products evenly. Love my purchase. Like you, Ive tried them all. Finally found THE ONE! Creamy, blends like a dream and the brush is everything!! !